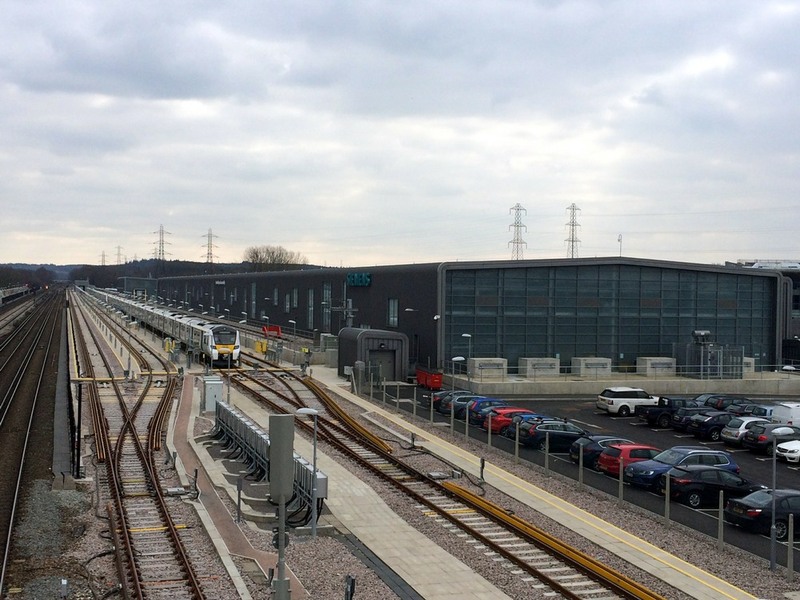 At exactly 12:30pm, on Monday 21st March 2016, fifteen members met at Three Bridges station and took the short walk through the car park to the brand-new, Siemens / Govia Thameslink Railway (GTR) Depot. At the reception, and once signed in, we were met by Mike Headington (Depot Operations Manager), who gave us a brief overview of his railway background, and how he found his way into the current role at Three Bridges. 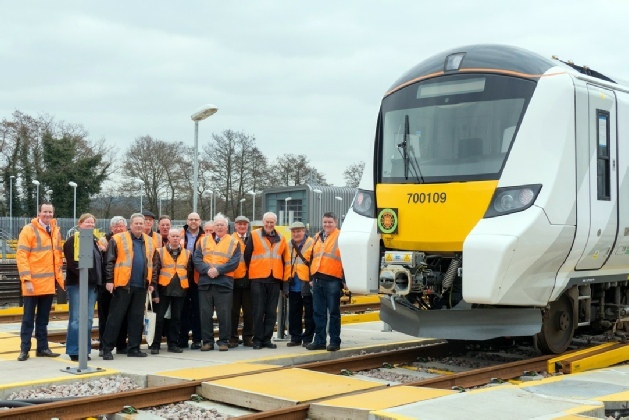 The purpose-built depot was officially opened in October 2015, (costing £230 million) and will be ‘home’ to the 115 Class 700 “Desiro City” units, which are currently being built for the ever-expanding Thameslink network. The depot is a joint collaboration between Siemens, who will maintain the train fleet, Govia Thameslink, who will run the depot, and Network Rail, who are aiming for significantly enhanced train frequencies through the central London corridor and out to the commuter towns and cities, such as Cambridge, Brighton, Peterborough, Littlehampton and East Grinstead. With a now fully operational depot, the new trains are being delivered at a rate of 1-per-week. The entire fleet will go through Three Bridges for acceptance before finding their way to other depots, at locations such as Cauldwell (Bedford) and Hornsey (in the final stages of a major upgrade, which is due for completion in July 2016). The final ‘700’ unit is scheduled for delivery by late 2018, and like all before it, will undertake a rigorous 5000 mile ‘running in’ period before being allowed into revenue earning service. The Class 700’s are to be a mixture of 12 car and 8 car sets (dependant on route requirements), and are the first trains of any kind in this country to be of that length – and without centre cabs or any interior gangways etc,. Currently they are in plain white livery, with Thameslink branding along the bodywork. Two sub-classes are being created: 700/0 being the shorter 8-car sets, with 700/1 being used for the 12-car trains. Railway terminology has already crept in, with FLU (full length unit) and RLU (reduced length unit) being used by Siemens and Thameslink staff to easily identify the differing sets. The depot has a small pool of internal drivers, with mainline drivers currently only working up to the entrance/exit signals on the reception roads. Within the depot complex is a driver simulator facility, which will be used extensively in the driver training programs over the coming months and years. 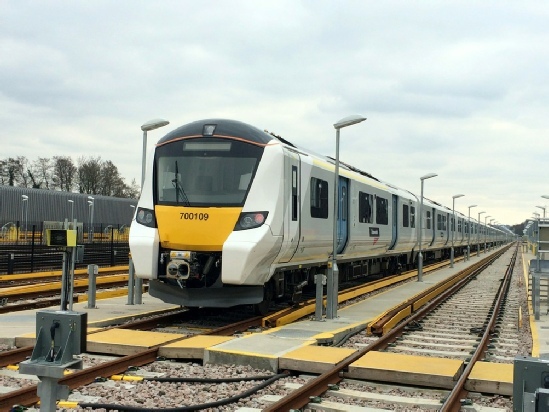 It is expected be a two-to-three week conversion course for those drivers who already work Class 319 and/or Class 377/387 units for Thameslink. The Down Sidings: housing the depot maintenance building and under-frame cleaning facility. The Up Sidings: a smaller yard area with wheel lathe facility also. Tilgate Sidings: situated between the Up Sidings and the Balfour Beatty yard. The later is currently used to store Gatwick Express Class 387/2 units prior to being accepted into traffic, and in time, will also house the withdrawn Class 442 ‘5-WES’ units, which are coming to the end of their life with Southern/Gatwick Express. A huge metal footbridge spans the entire complex (and the Brighton Mainlines) giving staff easy access between the Up and Down Yards. We were fortunate enough to walk across this structure, from which the vastness of the depot is clear to be seen. The East and West head- shunt bufferstops (at either extremity of the depot) are 1.4 miles apart! A Class 442 on the up fast line from Brighton passes the new Three Bridges Depot - the main depot building and down sidings being on the right and up sidings on the left. The depot has six access points, two for the Down sidings, three in the Up sidings, and one for Tilgate. 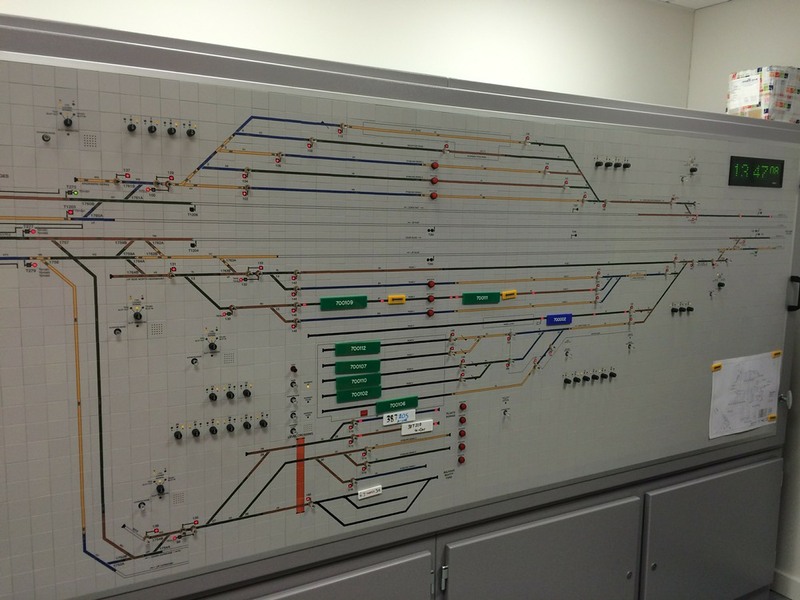 The depot has its own internal signalling system, which liaises with ‘Panel 4’ at the Three Bridges Area Signalling Centre in regards to any movements on and off the depot. During our visit, we were given a tour through the control room, and the workings were explained in great detail. The controller has full ability to lock/protect each siding/reception road from his position, and has total control over the fully automatic point-work system across the depot. Like most modern depot facilities – the manual hand point lever is becoming a thing of the past! The depot current isolation is also controlled from here and individual stabling / maintenance roads can be part isolated giving greater flexibility. To minimise noise (keeping the neighbours happy), sound proof fencing has been erected around the entire perimeter, and furthermore, the train wash unit, under-frame cleaning facility and wheel lathe are all fully enclosed to further aid noise reduction. At the time of our visit, 9 units were currently in the UK, and all except one were on the depot during our visit. These were: 700109, 700111 & 700002 (located in the Up Yard), 700112, 700107, 700110, 700102 & 700106 (within the maintenance building) and 700108 (which was out on test). Stabled in Tilgate Sidings were Gatwick Express units 387205, 387210, 387211, plus later joined by 387208 and 387209, having worked a 5Z36 test run from Littlehampton. 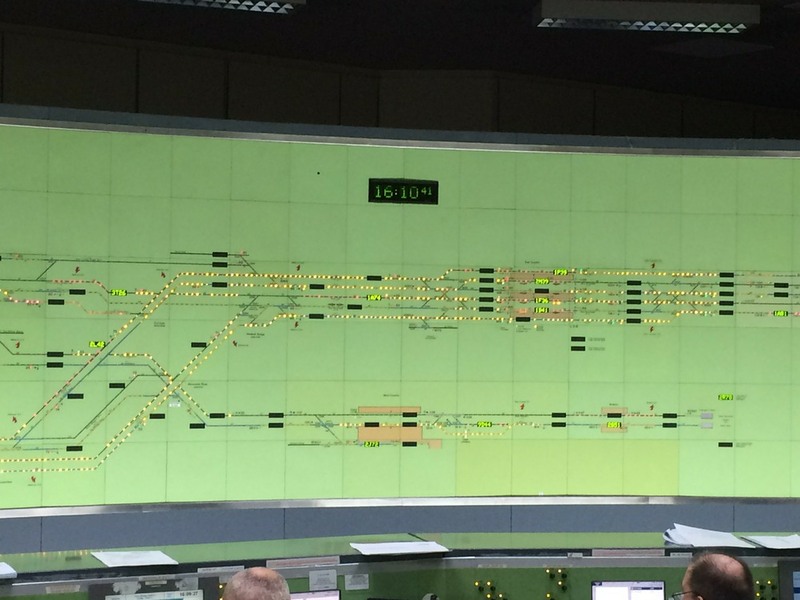 The new units are fitted with European Train Control System (ETCS) level 2 cab signallin and Automatic Train Operation (ATO) for use through the central London tunnel sections, where up to 24 trains per hour are expected to operate. Although this system has been used on the Northern Line since 2013, (not to mention several other metro systems around the World), this will be its first use on a UK mainline railway as well as the first use of ATO and ETCS together in the World. 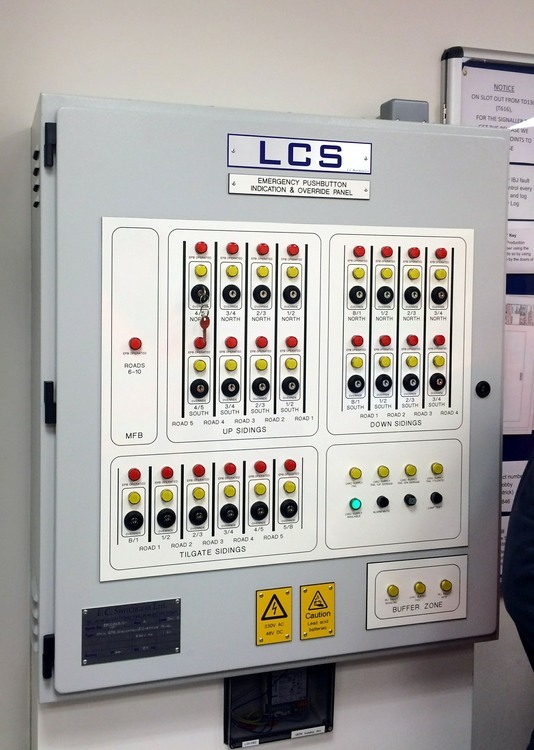 The system 'takes over' the controls of the train (once commanded by the driver), and is allegedly better able to regulate its passage - maintaining optimum spacing and speed. Once it has stopped itself correctly at the platform, the ATO also opens the doors. However, the driver remains responsible for door closure and ensuring a safe dispatch via the in-cab camera monitors and platform screens. Furthermore, the driver also stays in control of the vigilance pedal during the ATO section - meaning total automation is still a thing of the future! The combined brake / power controller is to the left of centre on the main desk. The ETCS Driver Machine Interface (DMI) is in the centre which will display a speedometer and when under ETCS Level 2, details of the maximum permitted speed and movement authority distance to go. 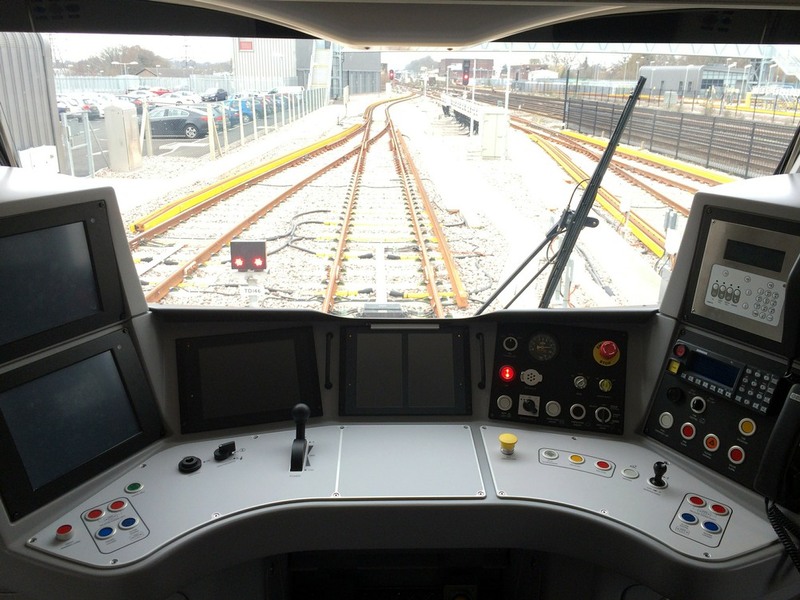 The screen to the left of the DMI is the train management system display and the two screens on the left are for the external door CCTV images for DOO train despatch. GSM-R cab radio in the centre on the right. The units contain six toilets per twelve coach train (4 for an 8car unit), and a half-coach of 1st Class accommodation at either end of the unit. Being open plan, the units are clearly designed for maximum loading capacity, although the company has already come in for some criticism over "a lack of seats". A 12 coach Class 700/1 has just 666 seats, in 2+2 style throughout (with additional capacity for over 1100 standing), and a 700/0 having just 427 seats (plus around 700 standing). By comparison, a current 12 vehicle Thameslink service has up to 813 seats. The on-train display screens are ‘next generation’ too. They are capable of showing all the current information on stopping patterns, next calling point and general safety information etc, but also, they will be programmed to give information on connecting trains at larger stations, plus advance information on other transport modes: such as London Underground or DLR. The onboard systems also have the ability to monitor loading levels within each vehicle and relay this to platforms further ahead, to hopefully, enable passengers to board at lesser crowded coaches throughout the train. Saying goodbye to our hosts, we returned to the nearby station, with conversation already turning to a repeat visit once the depot is fully stocked with new trains. Once through the security gates, and safely inside, we were met by Mark Westcott (Network Rail, Signalling Shift Manager), who welcomed us to the Three Bridges Area Signalling Centre. The centre covers the Brighton mainline from just outside Norbury, right through to the south coast terminus. Additionally, the branches to Caterham & Tattenham Corner, part way towards Oxted, Penge to West Croydon, the Redhill to Tonbridge branch and the lines from Brighton to both Hove and Lewes are all covered from individual workstations. Interface is also made with the depots at Selhurst, Lovers Walk (Brighton) and Three Bridges. Since 2005, Three Bridges has also been responsible for the Mid-Sussex line through Horsham, and this was extended to cover as far as Arundel in 2014. 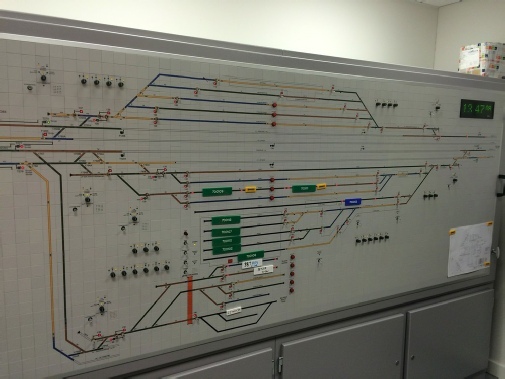 Opened in June 1983, the Signalling Centre is sadly on borrowed time, as across the opposite side of the mainline formation is the state-of-the-art Rail Operating Centre (ROC) which will eventually become one of just 12 such centres operating signals across the entire UK rail network. At completion, it will be responsible for signalling the entire area currently covered by Three Bridges, London Bridge, Victoria and part of West Hampstead panel boxes! Nine separate workstations are manned at all times, (increased from eight when the busy Norwood Junction - South Croydon section was split off to reduce the workload for that section). A three-shift rotation is in place: 06:00, 14:00 and 22:00, which is maintained everyday of the year. Within each shift, the operators rotate around the different workstations and are provided with sufficient rest periods away from 'the action'. 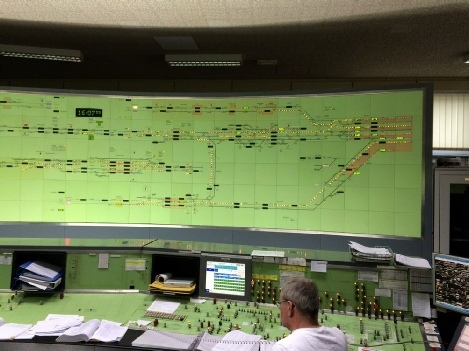 Two staff are also based within the room, (dealing with Delay Attribution), whose job it is to monitor ongoing delays, and where possible, attribute the delay to the relevant TOC/FOC or to Network Rail. The actual signalling display panel is a large curved arc shape in the centre of the room, (split into 8 individual workstations), with signallers sitting below their relevant sections with the relevant entry-exit push buttons within easy reach. Several also have CCTV monitors to control various crossings along their 'patch'. 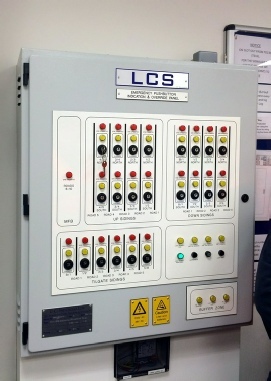 The Mid-Sussex panel is located at a 180' angle to the main panel, and has its own operator. Brighton station on fat left with the Hove station middle of the bottom and the part of the line from Brighton to Lewis at the top. Following the overview given, we were permitted to roam the floor and take a more in depth look at the operating procedures and talk (if safe to do so) with the individual signallers. Some of the more unusual headcodes and routing details were explained, including the use of Class 9 prefixes for the frequent East London Line trains. Another recent change was to Gatwick Express services, which now terminate at dedicated platforms at the airport station. The basic concept of 'entry and exit' signalling was demonstrated to our group, as was the process of controlling and monitoring the various CCTV level crossings on the route. 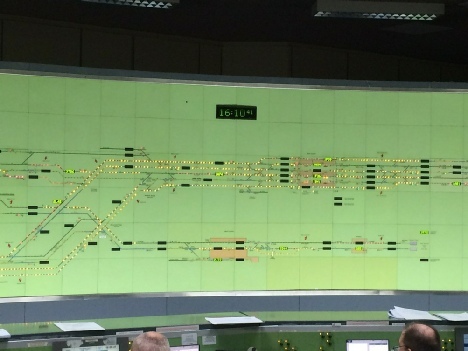 The 'approach control' signalling set-up at certain junctions was also demonstrated. Signal regulation and late-running was discussed, and with several of our group being drivers, it was interesting to hear a signaller’s perspective of holding/regulating trains during disruption and degraded working situations. Being aware of our place as guests, I think it's safe to say we opted to "listen without comment". I guess the age old debate between drivers and signallers will rumble on - even with the onset of newer, more advanced technology! Whilst observing the Mid-Sussex panel, we noticed a 3Y90 headcode sat in platform 3. This turned out to be the GBRf Class 73/9’s we had seen earlier, which were working a Tonbridge to Purley railhead treatment circuit (via Redhill, Horsham, Epsom, Norwood Junction, East Grinstead, London Bridge and Tattenham Corner)! As our visit was drawing to a close, so the evening peak was starting to take hold. From the relative calm of earlier, the display screens were slowly filling up with plenty of Class 3 and 5 head-codes moving towards London and Brighton. In addition, several services were starting to pick up delays due to a shortage of traincrew within Southern. Decisions were hurriedly being made to run some services without the usually ‘attachments’ at Haywards Heath. All of this seemed to be taken without issue by the staff on duty – “just another day in Network Rail paradise” it was heard to be called. As we returned to the station to await our respective trains home, we were on hand to see 700108 passing slowly through the platforms, having that day worked a series of test runs (headcodes 3T24/3T25/3T26) from Three Bridges to Bedford, then to Herne Hill, before doubling back to Blackfriars, and finally returning to Three Bridges. Thanks must go to our respective hosts at Thameslink and Network Rail for giving up their valuable time, plus to Malcolm Pym and Mike Mundy from the L&CI for their efforts in arranging these visits.